You are the 19748 reader. 1. First click the Sign In link the right side of the navigation. 2. 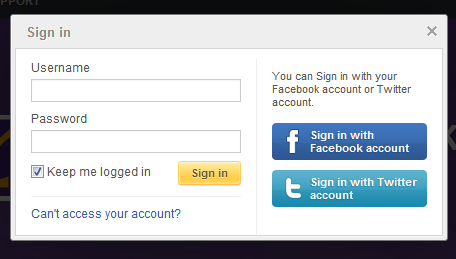 Enter your username and password or use your Facebook or Twitter Account to login. 3. 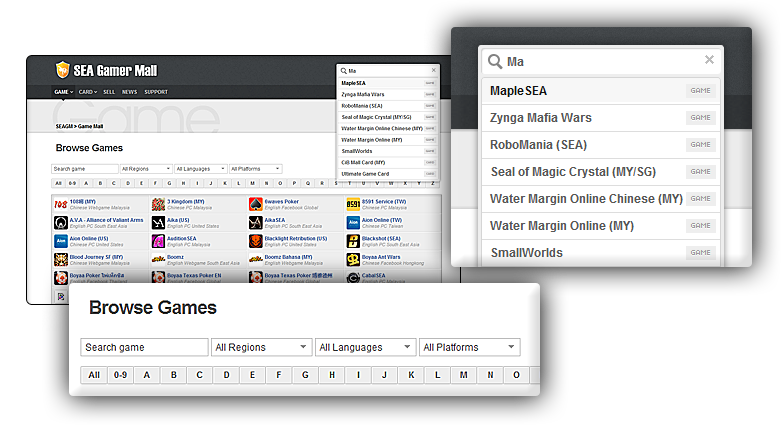 Search for products from the Games Store or Game Card Store as well as from our new improved Search Function. 5. Next, click "Proceed to Checkout" to go to Payment Option Page. You MUST CHOOSE the currency you wish to use for payment during this step. 6. 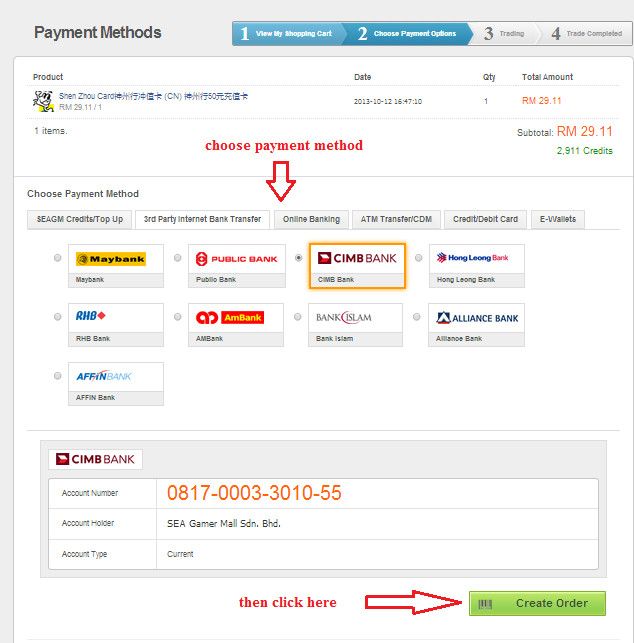 At the Payment Options page, select the your choice of payments method. 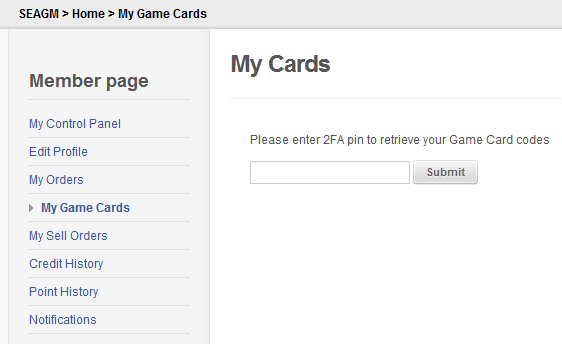 If you account has SEAGM Credits balance available, you can choose to pay with your SEAGM Credits Balance by entering your 2FA Pin. Click Create Order after you've done choosing Payment Methods. 7. 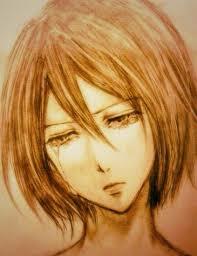 You'll be directed to Thank You page. 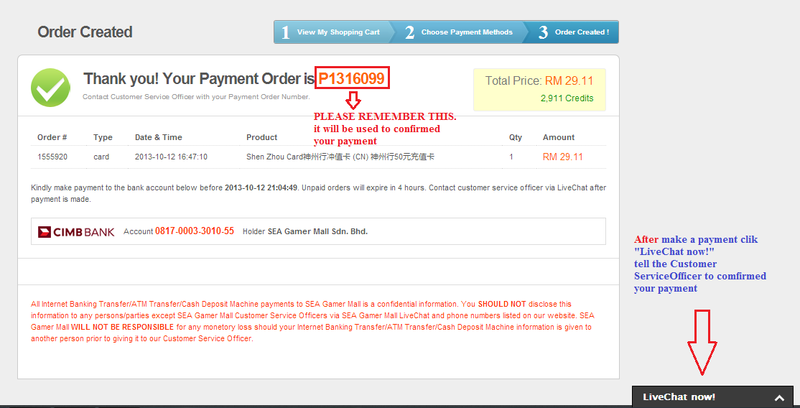 Your Payment Order Number and Order Details will be displayed. Kindly contact our Customer Service Officer via LiveChat or phone call to confirm your Payment and Order. Very useful for all our Malaysian friend.